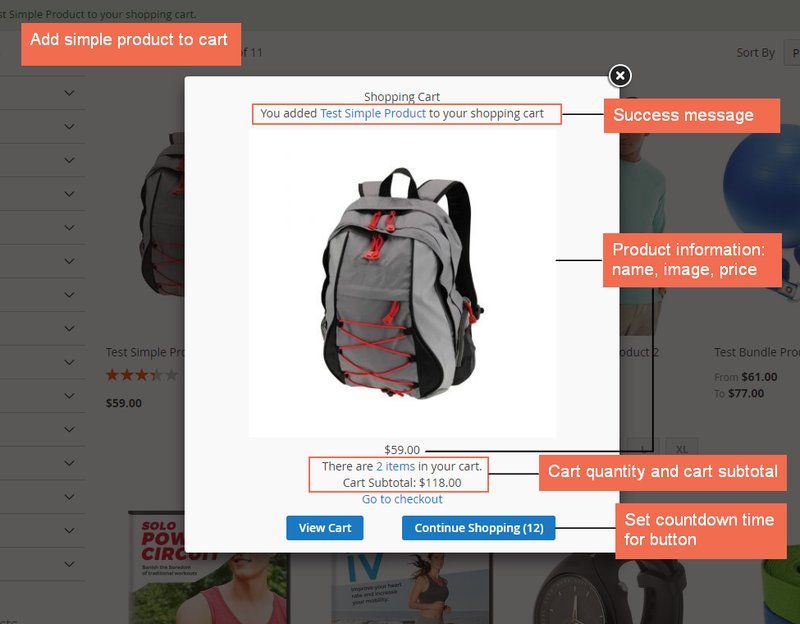 Online shopping is all about user experience. With the optimal purpose of raising profit, it is a store owner’s duty to create a pleasant purchasing experience for customers. 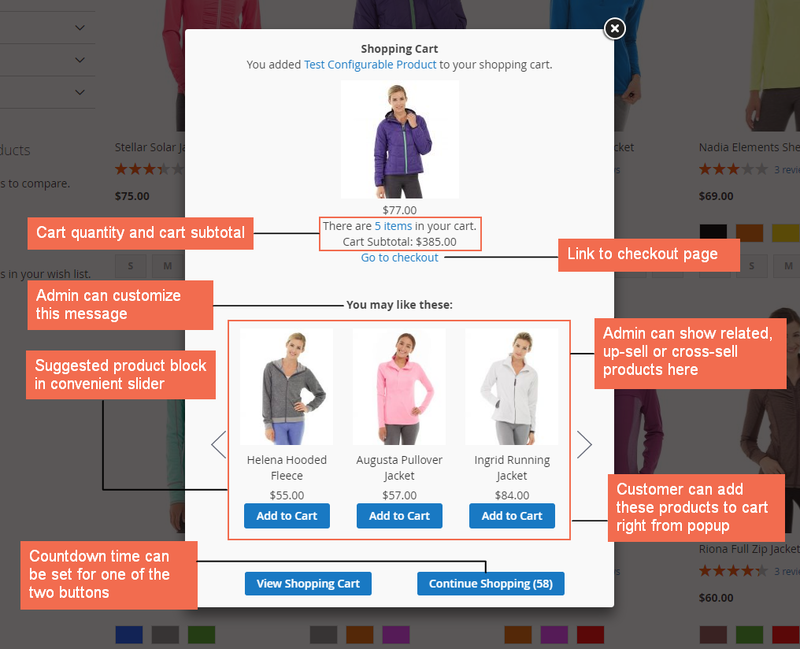 Because nothing motivates users to shop and return for more purchases than a simple add-to-cart process. Standing out among many ajax-based add to cart extensions on the market, Ajax Add To Cart by BSSCommerce is the only extension providing optimized and updated functions (recent update on 2nd January 2017) with a reasonable price under $100. Now let’s go through the checklist of 7 reasons to prove that it is a must-have extension for every Magento 2 store. 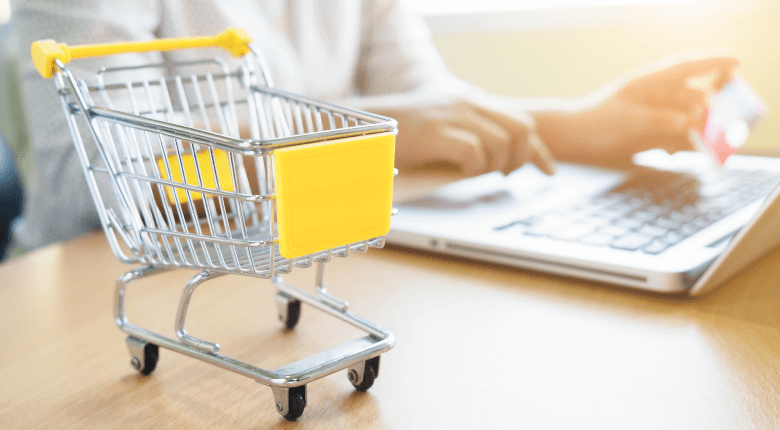 Magento default provides essential functions to add products to cart, but these functions are still limited and have not met increasing demands of online shoppers. It is undoubtedly to state that Ajax Add To Cart extension offers functions that completely revolutionize Magento add-to-cart process. It allows users to finish all steps of adding products to cart via ajax, from selecting product options, adding to cart and checking cart subtotal while maintaining on the current page. Instead of being redirected to product page after clicking “Add to Cart” button, customers can now get a whole new shopping experience of adding any product to cart from any page in ajax popup: category page, home page, search result page, wish-list page, and product comparison page… They can even double check the newly-added product and cart subtotal in another popup. All processes happen on just 1 page! ZERO page reload! While streaming through the product catalog, customers may want to add products they like to cart and continue to check other products. With products that have many options such as bundle, grouped and configurable products, Magento default requires customers to leave the current page to finish selecting options before being able to add these products to cart. This extension ensures that customers can continue shopping without any interruption while still being able to add products to cart. Within few clicks, customers can add any type of products to cart successfully regardless of the number of product options. The purchasing process will be speeded up and time consumed due to page redirection will be eliminated. 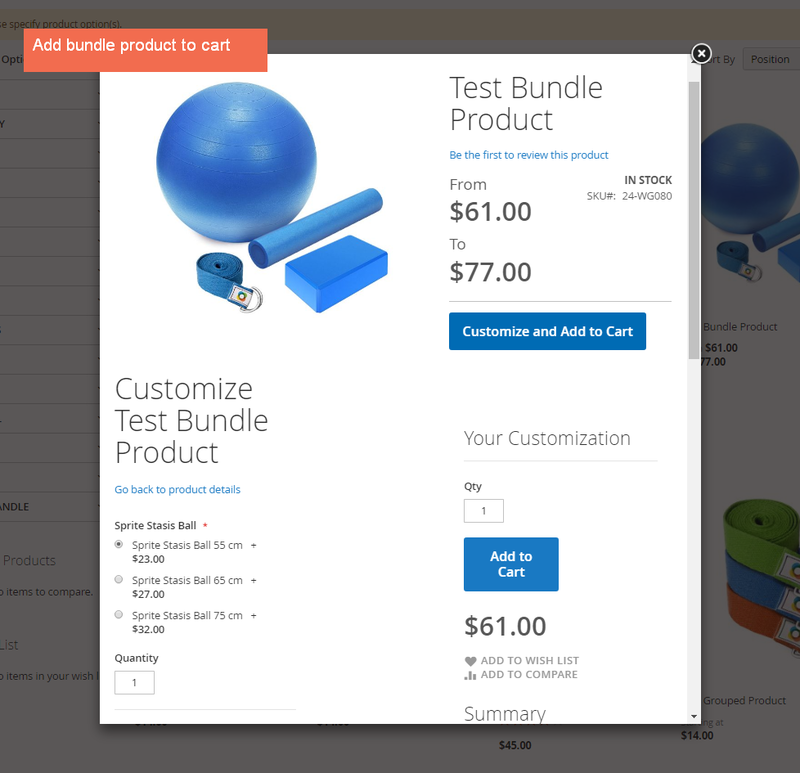 This will drastically cut down time to less than 1 minute to add any product to cart. After completing adding items to cart, there will be a confirmation popup for the customer to double check the newly added product. This is the perfect time to promote other related products and kindly suggest customers check them out or add them to cart. Admin can cleverly apply this free marketing strategy to motivate customers to add more products to cart. Nothing pleases online consumers more than a quick and straightforward buying process. Offering a seamless shopping experience, Magento 2 Ajax Add To Cart extension can guarantee to put a smile on your customer’s face. They will surely come back to your site for more purchases. From the day Ajax Add To Cart was created, it has been received attention from Magento community and good feedbacks from users. It aims to improve shopper experience when adding products to cart while ensuring a rather competitive price of $79.00 – cheaper than other extensions with similar features. More importantly, it has been updated recently with advanced features to add suggested product block into the popup for promoting related/up-sell/cross-sell products. We plan to make other function updates shortly to improve user experience further so that you can expect an even more amazing extension soon. To conclude, Ajax Add To Cart extension by BSSCommerce has what it takes to be the best choice for all Magento 2 stores: full functions (latest update on January 2, 2017), great benefits, and reasonable price of only $79. Most of all, it can uplift user experience instantly with quick and simple ajax add-to-cart process. All words may not be compared to real experience.